This dish is a dim sum delicacy. Squid tentacles are chopped into bite-size pieces, coated in flour and spices and deep-fried. The squid is tender yet crunchy on the outside. Hong Kong food is a melting pot of different cultures and cuisines. It is mainly influenced by Cantonese cuisine and food from other Chinese regions, especially Teochew, Hakka and Hokkien. As the island has a long history of being an international place of business, there are influences from Japanese, Korean, Southeast Asian, Malaysian and western cuisines. There is also a strong British element to menus, from when Hong Kong was under British rule. Hong Kong is famous for food, and in just this one big city, food enthusiasts can indulge in all kinds of authentic cuisines from around the world. From street food to exclusive restaurants, Hong Kong has an unlimited variety of food for all tastes and class. Dishes are influenced by Cantonese cuisine, which is traditionally created so flavours of a dish are well-balanced and not greasy. Spices are also used moderately to avoid overwhelming the flavours of the main ingredients of the dish. 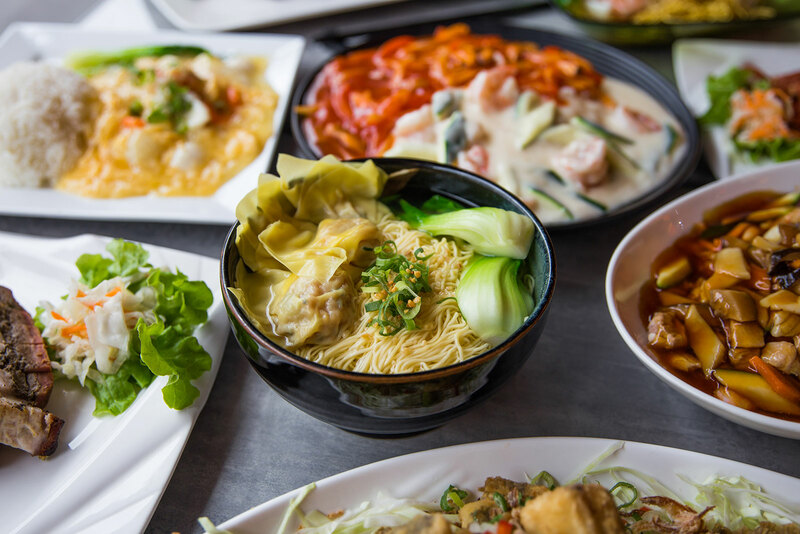 Besides pork, beef and chicken, Cantonese food uses almost all edible meats, including offal, chicken feet, duck’s tongue, frog legs, snake and snail. Hong Kong is renowned for its yum cha (dim sum), wonton soup, roast meats, char siu and noodles. Known across Brisbane for serving some of the city’s best dim sum, the Sunnybank institution is your go-to for the quintessential Hong Kong yum cha experience.